Doug is the founder and President of Integros Coaching and Consulting, LLC, a private firm providing executive coaching, leadership training and business consulting to entrepreneurs, teams, and leaders in established companies. Doug specializes in coaching senior executives and leaders to improve their personal effectiveness and enhance their leadership impact. 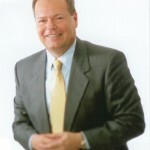 Doug’s coaching success is rooted in over 30 years of hands-on business experience as a leader and senior executive. He was president of the largest business unit of a Fortune 110 financial services firm, and held numerous other senior executive roles. He is a Certified Hudson Institute Coach, having graduated from the Hudson Institute of Santa Barbara, one of the nation’s premier coaching schools.